Ombre hair, ombre dresses, scarves, shoes, purses….you name it, the ombre craze is everywhere. So why not put a little style into your dog walking too? Ombre is the most recent interpretation of the tie dye, or dip dye, process that was popularized back in the 1970's. But now, instead of tie dye, we have Ombre everywhere we look. What I love most about it, is that each piece is a unique and one of a kind, due to the nature of how it's produced. And since this craze has been so far reaching, it wasn't surprising to come across these fantastic Ombre Dog leashes with a coordinating dog collar. 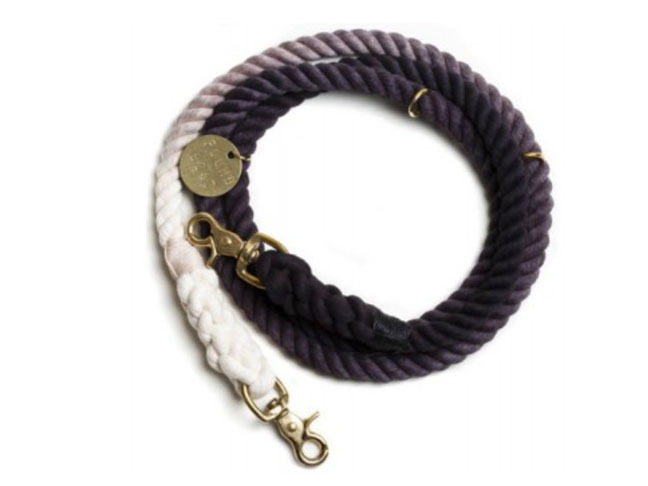 You can choose between this black ombre adjustable rope dog leash. 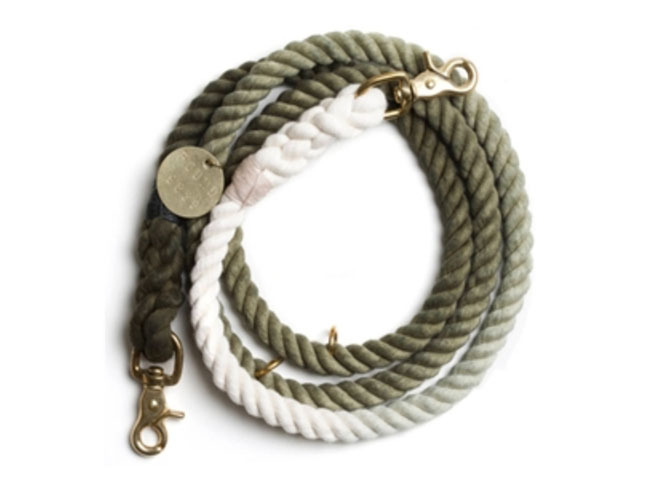 Or you might prefer this Olive Ombre leash, depending upon your mood. 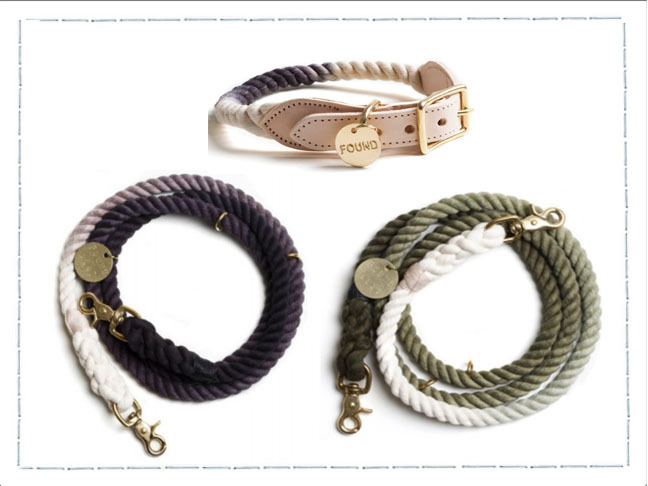 And don't forget to complete your stylish new dog walking accessories with this coordinating ombre rope dog collar, that comes complete with a brass "Found" tag to acknowledge the company's mission to raise awareness about the need for animal adoption. And if you desire, you can have your pet's name and information stamped on the opposite side of the tag.